These are the perfect snack for your loved one or great to have in the fridge for both adults and children. As you can see they are filled with collagen powder which is a protein that has so many health benefits. As we age collagen production slows down and therefore it is important to optimize through our diet. It is also a great for reducing the appearance of aging naturally as collagen is responsible for keeping our skin strong and elastic. If you suffer with any joint pains this is a key nutrient to include. For kids, it is a great sugar free alternative to sweets and is a source of protein that can be lacking in their diet. 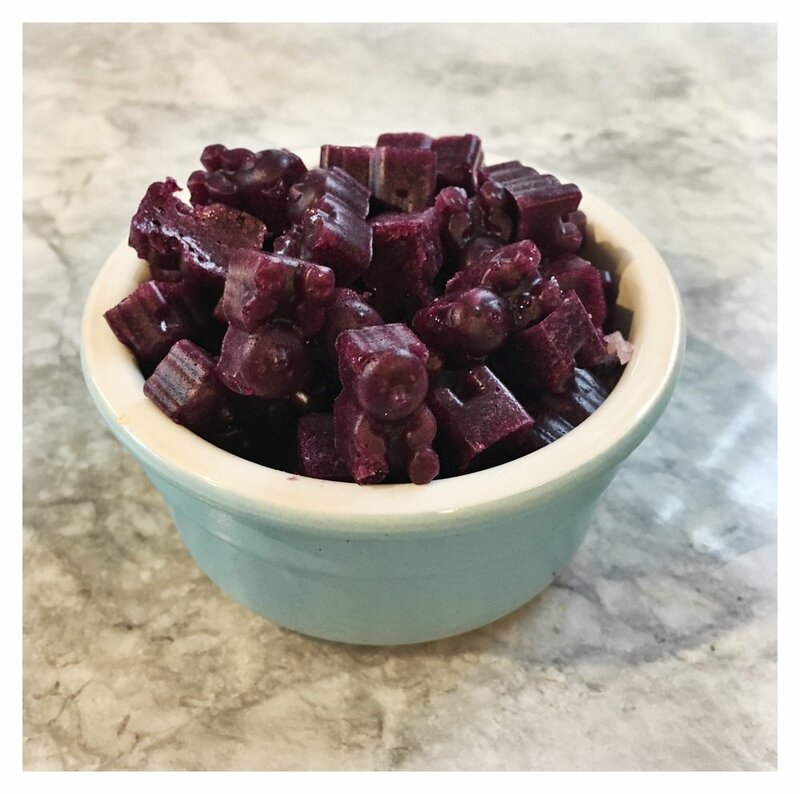 My son loves the gummy bear shares and they are packed with fruit that has a high antioxidant capacity so keeping their immune system healthy. So, give them a go and let me know who they were more popular with. 1. I wanted 2 flavours so had to separate pans, one with blueberries and the other strawberries. You could mix together for a berry flavor mixture. 5. Pour into mold and place in fridge, they should be hard within 90 minutes and you can then remove from the mold.